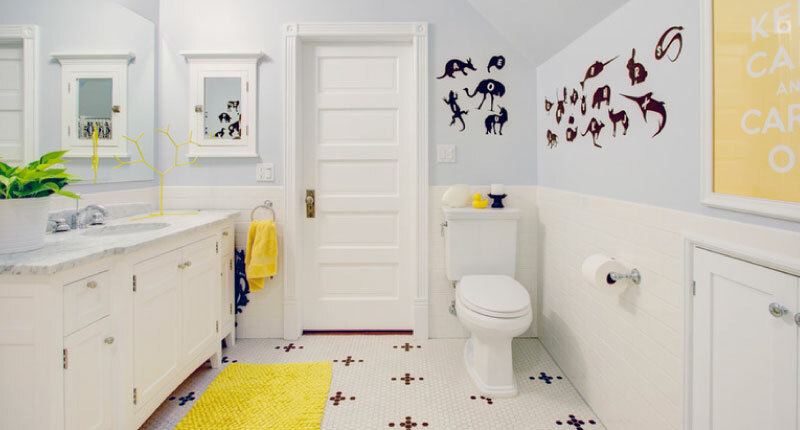 If your children have their own bathroom, you may want to make that space unique to them and as kid-friendly as possible. You also want this bathroom to be attractive, comfortable, and durable enough to survive their childhood. 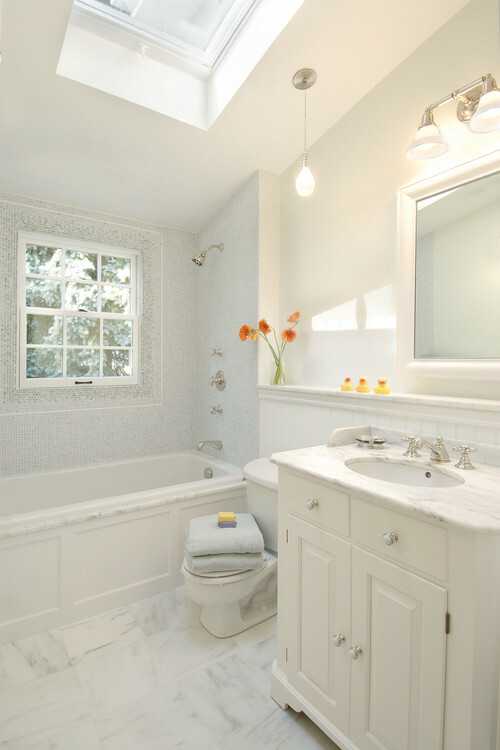 As your kids grow older, they will likely want changes in their bath’s décor. You will want your home to remain aesthetically pleasing and increase in value. These don’t have to be competing interests; you and your kids can both have what you want, especially when you use natural stone. Choosing the right natural stone means you won’t have to gut the bathroom when your kids propose a decor change. You’ll simply change the paint, window treatments, and accessories. Here are 7 tips for creating a kids’ bathroom that will fit their personalities—and the rest of your home. Help them understand why certain design choices will work and others won’t. Explain that you have a budget you need to keep so they might not get everything they want. As long as their ideas fit into your overall interior design scheme, allowing kids to make some choices ensures they won’t want major changes later. Whether it’s a new build, a total renovation, or a refresh, decide how much of your bathroom will include natural stone. Some bathroom projects using this material will be easier, less costly, and faster to complete than others. Calculate how much time the project will take, and how long you are willing to be without a bathroom, especially in a busy household. 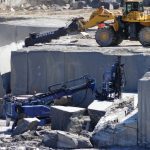 “To be without a bathroom for an extended time is a real inconvenience for most families,” says Matt Laliberte, vice president at Ripano Stoneworks, an MIA Accredited company in Nashua, NH. If you’re refreshing or renovating your bathroom in stages, consider a countertop replacement. 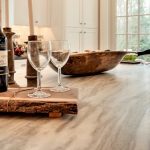 “A countertop is very easy to change and most fabricators will replace a laminate one with natural stone,” explains Laliberte. Before starting work on your children’s bathroom, know its size and shape. That helps you determine what size, shape, and type of natural stone countertop, floor, or wall tile you can install and where. Measuring will also make countertop selection easier since you’ll know what cabinet types and sizes they’ll be installed over. Laliberte says fabricators measure countertops to 1/16 of an inch to ensure fit. You’ll want the natural stone used in your kids’ bathroom to complement what is already in your home or may be used in the future. Sometimes, what’s in the rest of your house depends on where you live in the country. “I live near the beach and very green mountains, so I see a lot of green and blue stones in homes,” says Suzanne Morosoli, General Manager of Pacific Shore Stones in Arroyo Grande, CA. For resale, you’ll benefit from choosing natural stones that are popular in your market. 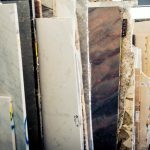 “Natural stone trends can vary by region,” explains Morosoli. Humphries recommends choosing neutral or conservative tones and using color to accessorize. For a bolder look, you can choose natural stones with unique textures and finishes. Laliberte agrees that color choices affect resale. “Unless you intend to change it later to appeal to a broader spectrum of people, start with a neutral stone.” he says. That can include blacks, grays, and whites, as well as tans. Keep in mind that depending on your location, “neutral” is relative. “We have a lot of green granites here,” says Morosoli. Choose a stone that both fits your home and can evolve with your style as design trends, and your personal tastes, change. Among the most durable natural stones are quartzite and granite. “Quartzite is durable and budget-friendly. It will still look good in ten years,” says Morosoli. From toothpaste and juice when they’re little to makeup and acne wash when they’re teens, many stains can occur in the bathroom. Toothpaste and acidic liquids can etch or remove the luster from certain natural stones. Spills should be cleaned up quickly to prevent damage to the stone’s surface. Your supplier and fabricator will be excellent sources of advice about how to use natural stone. In addition to being passionate about their work, many also have kids of their own and understand the challenges of designing with them in mind. 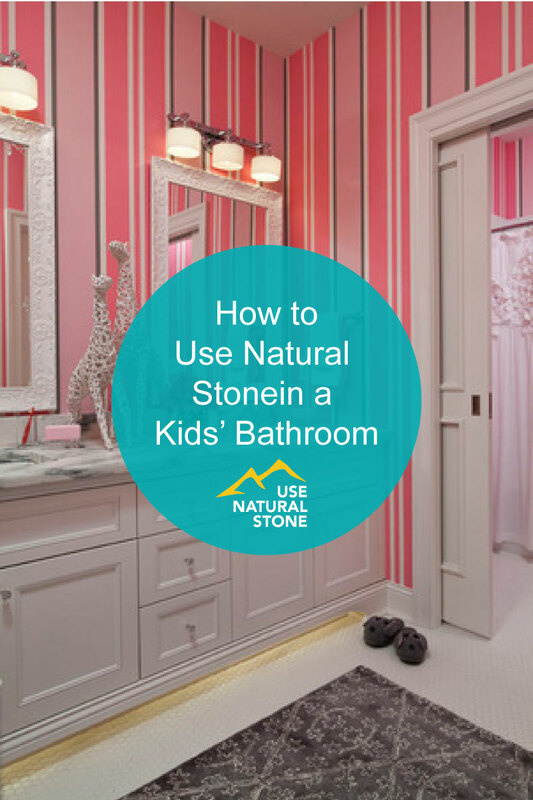 Be sure to ask them any questions you have about choosing the right natural stone for your child’s bathroom.